So I don't even own one yet but there are plans in the making. 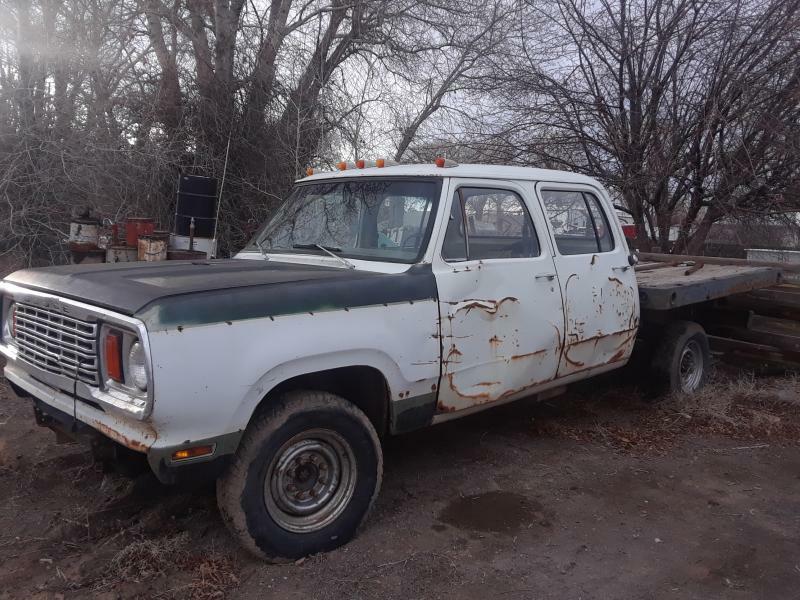 I was debating whether or not to even make a thread but here we are..
Found a 70's crew cab locally, short bed, 4x4 for $900. I've always wanted a long bed but I can live with it for now I guess. The cab itself is decent, some corner damage. The doors are toast, fenders aren't great, no bed, floor boards have some rust. I have brand new fenders and a hood for 81-93's but I've read you can't interchange doors/fenders because of a body line. The owner last night though said if I was swapping everything it wouldn't matter and I think I agree. Am I missing something?? The plan is to swap my entire front clip and front doors and find a bed. Of course the drivetrain as well. Looks like it's got a Dana 44/60 so the front will have to go as well, probably the rear too since I'll be swapping my lift. I was pretty dead set against it last night but now the wheels are really turning. If I don't end up getting it, I WILL get one eventually and this will be my build thread. Thanks guys. Know that finding replacement crewcab doors is tough, so better to fix what you have....if you do get it. The gasser D60 will work but it has a small U-joint yoke, and the brakes are smaller as well. Actually I joined the group on FB and someone has as pair a couple hours from me. Sure they're half as much as I'm paying for the whole pickup but you run into that sometimes. Don't get rid of the old ones....stash them away for the specific mechanical parts and "maybe" someone else might need them one day. Good call. So the deal isn't going to work out on this one, at least not yet. I've got wind of a couple more that may be around though so it's not over yet.